Dr Imani qualified in 1998 from Tandläkare Karolinska in Sweden. 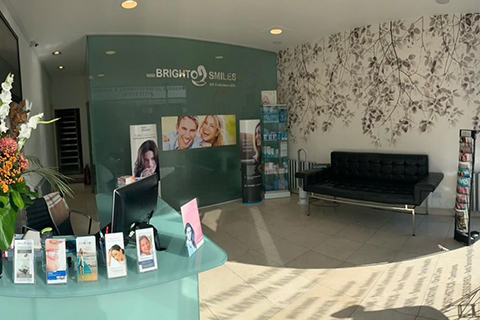 She has been working in Brighton Hove for around 20 years and is the principal dentist at Brighton Smiles Dental Centre. Her special interests are in occlusion as well as cosmetic dentistry with full smile makeovers using veneers, crowns, bridges, dentures, teeth whitening and Invisalign clear braces. She provides advanced facial rejuvenation treatment including Botox (botulinum toxin) and Restylane (dermal fillers) for removing wrinkles and lines on the face. She is also able to help patients stop snoring. She is supported by a friendly and caring team including a manager, receptionist and dental nurse. To everyone at Bright on Smiles, Thank you for totally changing my view on dentistry. You have hugely boosted my confidence!! At our dental practice, our dentists provide stunning cosmetic dental treatments including teeth whitening (home whitening and 1-hour power whitening), porcelain veneers, white fillings, gum contouring and teeth reshaping as well as clear orthodontics using "invisible" braces to create the perfect smile makeover. Our preventive dental treatments include scale and polish, bad breath, gum disease, decay detection and mouth cancer screening services. We also have expertise and special interests in oral surgery for extractions, root canal therapy for infections and sedation is available for nervous patients. Our facial rejuvation experts remove wrinkles, frowns and lines on the face to make you look and feel younger..